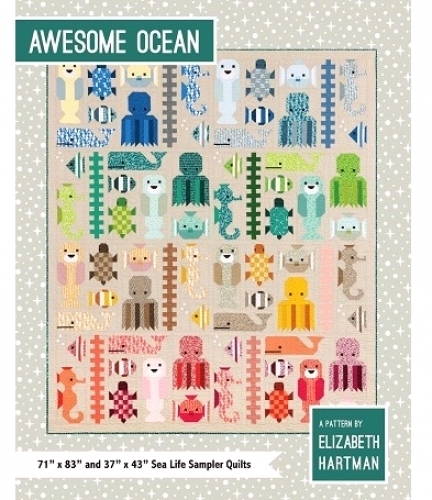 Awesome Ocean is a large 8.5 x 11 booklet pattern for an underwater creature sampler quilt. Similar to Fancy Forest, the pattern can be made in a large or small version. 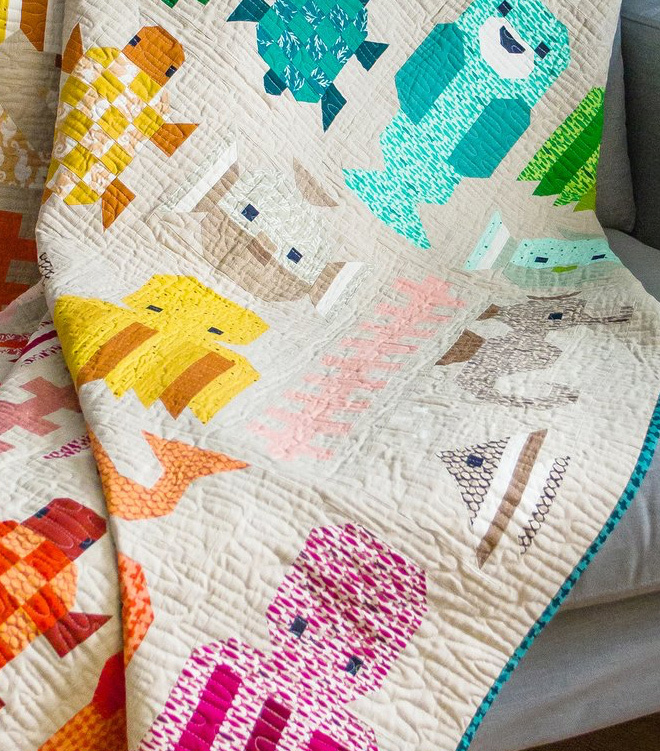 The pattern uses fat quarters and fat eighths. 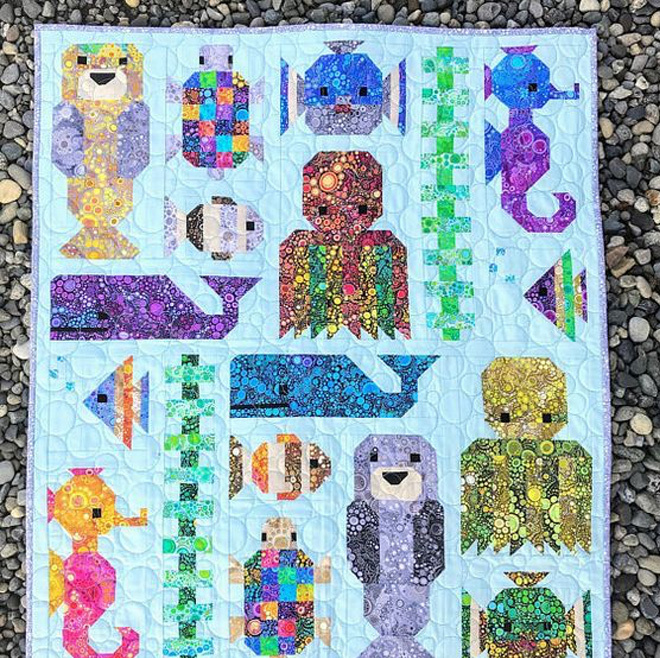 No templates or paper piecing required!